For the latest in our How To video series at the Faculty of Fine Arts and Music, Dr Margaret Osborne, Lecturer in Music (Performance Science) and Psychology, Melbourne Conservatorium of Music and Melbourne School of Psychological Sciences, gives practical tips for overcoming nerves and performing at your very best. Know someone who would benefit from this? Pass it on! Enrolments for Peak Performance under Pressure are open now and close on 3 August 2018. 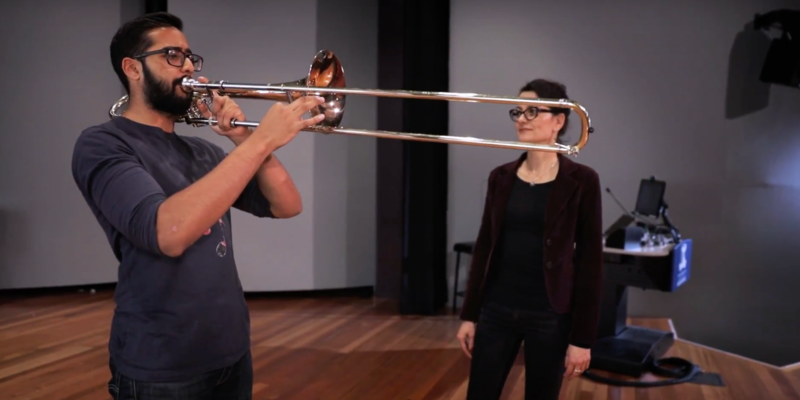 Find out more about Music Psychology & Performance Science at the Melbourne Conservatorium of Music. How to make an acid dance track with the Roland TB-303. How to create backing tracks with the Boss RC-30 Loop Station. How to throw a stage punch (and keep your teeth). How to do an Australian accent (that doesn’t sound bloody awful, mate). How to cast bronze, at the VCA Foundry. Banner image: Video still, supplied.